Once the holding of the Choir, the highest-ranking members of the Healing Church, Upper Cathedral Ward now lies dark. 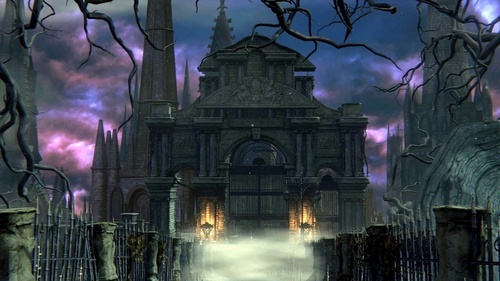 It has now been overrun by the very same beasts that plague the rest of Yharnam below, though a scant few Church Servants still remain. Locked away from all the world, some of the Church's greatest secrets are waiting to be discovered. Two extra powerful enemies are encountered here: Celestial Emissary and Ebrietas, Daughter of the Cosmos.